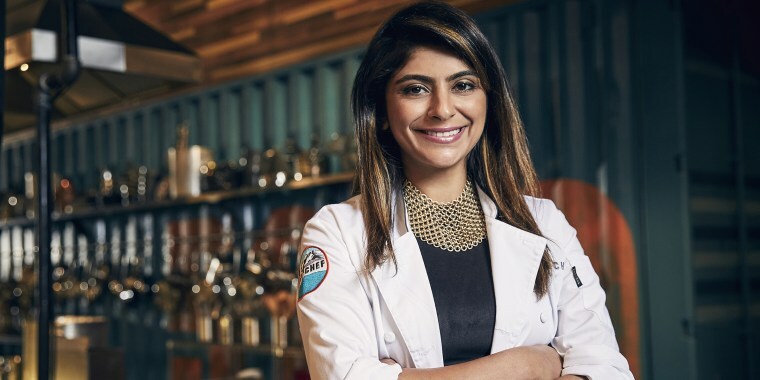 Former “Top Chef” contestant Fatima Ali has died. She was 29. Chef Bruce Kalman, who was friends with Ali, broke the news on Instagram Friday afternoon. Ali, who appeared on the 15th season of Bravo’s hit reality show, was first diagnosed with a rare type of bone cancer, known as Ewing’s sarcoma, in 2017. Last spring, she revealed that doctors had declared she was cancer free — but in September, she learned it had returnedand that she only had one year to live. Following the return of her cancer, Ali remained in the public eye and was often visited by friends from the culinary community. In November, she appeared on “The Ellen DeGeneres Show,” where she said she hoped to travel and dine at some of the best restaurants in the world with the time she had left. DeGeneres surprised her with a check for $50,000 from Shutterfly to help her achieve that dream. Fans and other celebrity chefs also jumped to her aid after Ali penned an emotional essay for Bon Appetit. Ali last updated her Instagram page on Jan. 10, when she gave fans an update on her worsening condition. Since the news of Ali’s passing broke, dozens of fans have taken to Instagram to share their condolences with the chef’s family.